Berlin is the second largest city in the European Union after London, and due to its rich history, it is quite spread out geographically. Although public transportation in the city is rich and the bike lanes are also vast, the city can also be discovered by foot. With numerous sites worth visiting, this walking tour uncovers some of the must-sees and most interesting things to visit in Berlin. 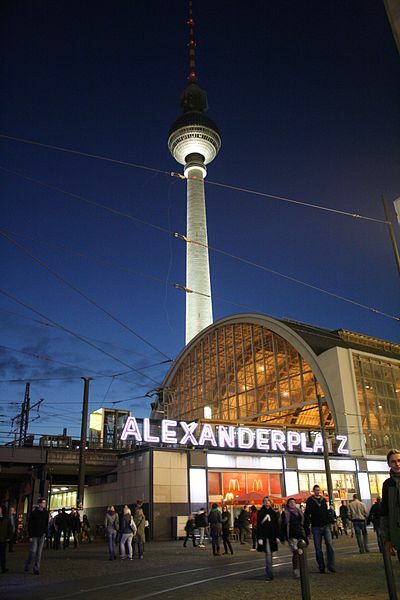 Berlin would not be the same without its iconic and unique Fernsehturm, or the TV Tower. This important building was completed in 1969 in the former German Democratic Republic. Due to the fact that Berlin was once divided, the city does not have a concrete center, unlike most large cities. Mitte, which is where the walking tour mainly occurs, was once considered the cultural center of the East, and the Zoologischer Gartens were the center of the West. This first spot is also the home of Berlin’s Rathaus (city hall) and the World Clock. Next up, about 10 minutes away from Alexanderplatz down Karl-Liebknecht-Straße, is Museum Island. Museum Island is one of the most beautiful landmarks in Berlin that was not destroyed during the many bombings Berlin suffered. 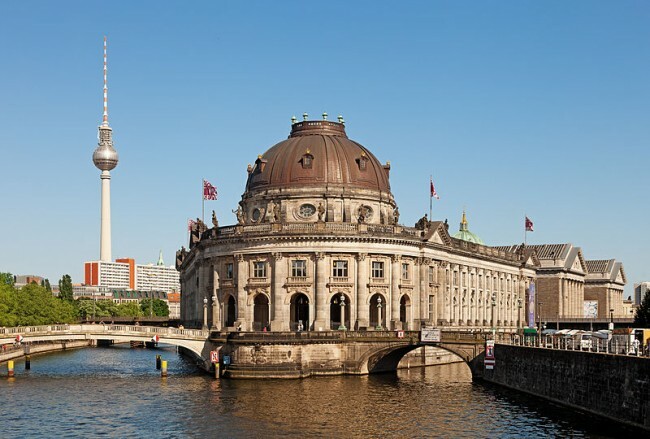 As indicated by its name, Museum Island is the home to many of Berlin’s museums, including the Neues Museum, the Bode Museum, the Pergamon, and the Alte National Gallery — and the DDR Museum is located just across the Spree. Museum island is a UNESCO Heritage site where you can also see the astonishing Berliner Dom and Lust Garten. 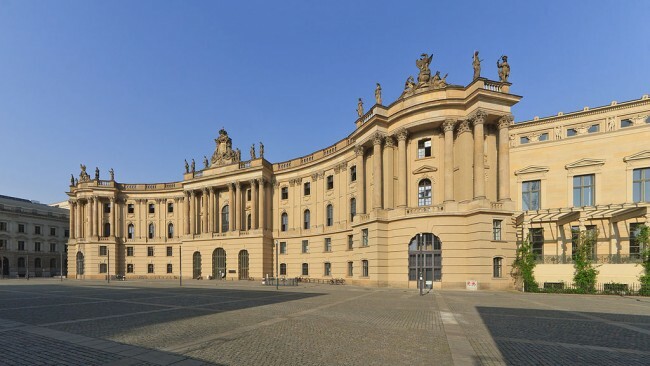 If you follow Unter den Linden on a short 5 minute walk from Museum Island, you’ll find Bebelplatz and Humboldt University, one of Berlin’s oldest and most famous universities. Located next to the Staatsoper on Unter den Linden is the Alte Bibliothek, which is where the Nazi book burning took place on May 10th, 1933. A memorial has been created at the location, which is surprisingly easy to miss. Across from the library there lies an empty bookcase under the ground to memorialize the terrible events that took place at this exact location. It is no secret that Germans love chocolate, so just six minutes away by foot from the Alte Bibliothek is the Ritter Sport Bunte Schokowelt. This sweet stop is an enjoyable pause from all the rich history that surrounds it. 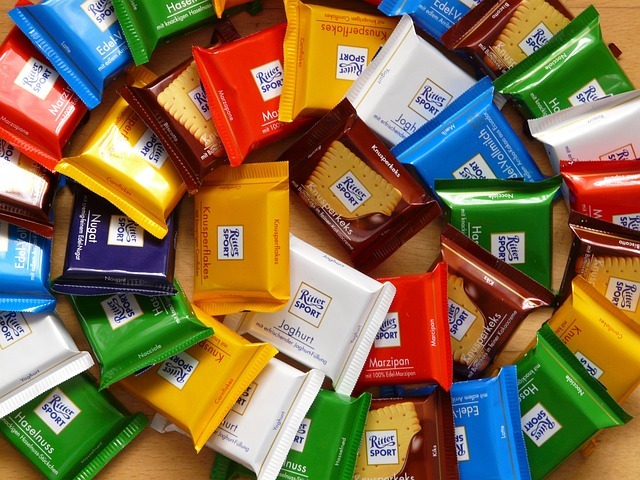 At the Schokowelt, visitors can create their own Ritter Sport chocolate bar in either milk or white chocolate using whatever ingredients they choose. This process takes 30 minutes, so during that time, the walking tour can continue. 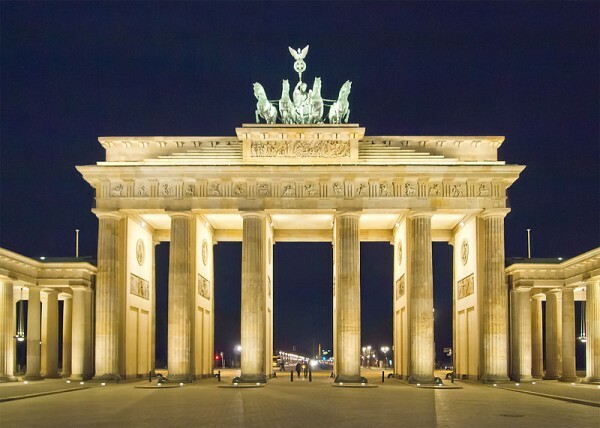 Upon returning to Unter Den Linden and traveling for another 13 minutes, the walking tour hits another historic landmark — The Brandenburg Gate. Pariser Platz is also home to the American and French Embassies, with the Russian and British Embassies just around the corner. From here, the Reichstag is located minutes away, along with the Memorial to the Murdered Jews of Europe (perhaps better known simply as the Holocaust Memorial). The memorial has 2711 columns to commemorate the Holocaust, and underneath it lays a museum. Next to the museum is the famous Hotel Adlon Kempinski Berlin, which is also the location where Michael Jackson famously dangled his child, Blanket, out the window. After exploring everything that is around Pariser Platz, it is time to head back east to pick up some chocolate and continue the walking tour of Berlin. 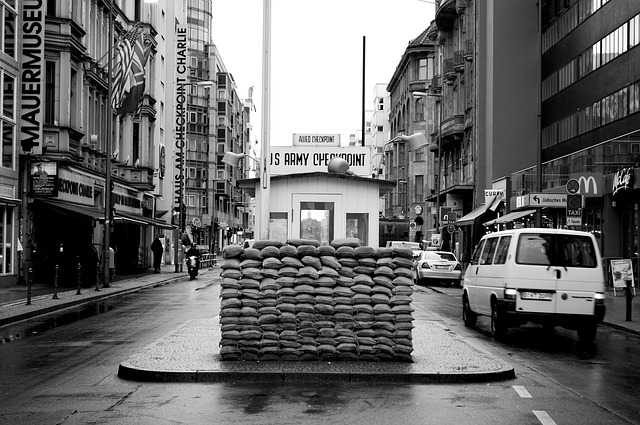 12 minutes walking south from the last location will soon turn into the former West Berlin, and walking down Friedrichstraße will turn from East to West at the iconic border crossing Checkpoint Charlie. This location was once the crossing between the Soviet and American sectors. There is a museum at this landmark and a guard house with actors who represent what the border was once like. Although this site is interesting, be aware of the thieves that tend to target tourists here with petitions they ask you to sign as they pretend to be deaf! In order to do a full walking tour of Berlin you would have to spend days and days in the city. The aforementioned walking tour is just one that can highlight some of the city’s most important landmarks and help visitors get a grasp of Berlin’s rich history.